Give your small dog big flavor in every bite with Purina Beneful IncrediBites With Real Beef adult dry dog food, formulated specifically for small dogs. With real farm-raised beef as the number one ingredient this nutrient-rich blend helps support your small dog’s higher metabolism. The easy-to-chew mini bite kibble are also created with your small dog in mind to cater to his tiny mouth and teeth. Accents of real carrots and peas add to the deliciousness of this tasty kibble for a flavor your dog will love. With 27 grams of protein in each cup, this premium dry dog food helps to maintain strong muscles. Feel good about filling his bowl, knowing that the 23 essential vitamins and minerals found in each serving aid in supporting his overall health and wellness. 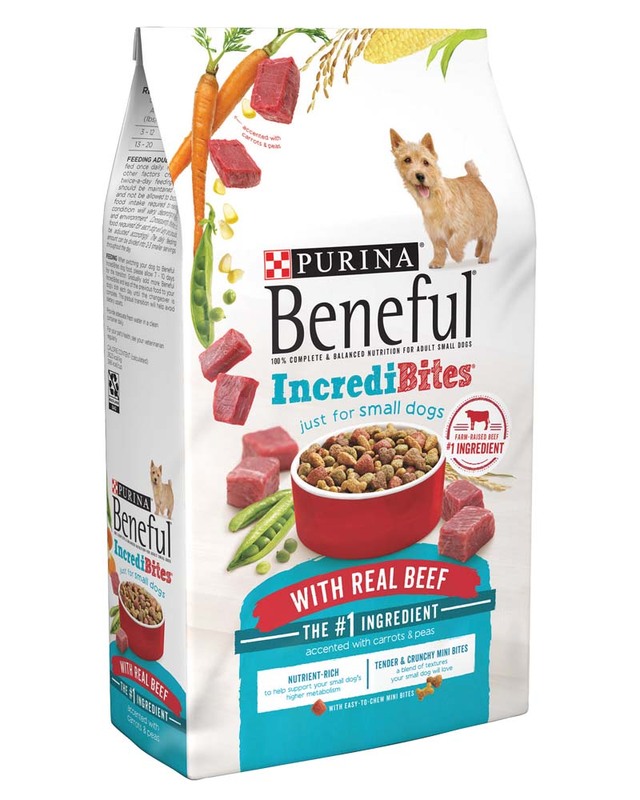 With savory flavor and high-quality ingredients, Purina Beneful IncrediBites With Real Beef adult dry dog food gives your little dog 100% complete and balanced nutrition. Healthy food with Big Flavor, in just his size. Beneful IncrediBites has real ingredients you know and he loves, chopped into small bites. Give your little dog the big flavor he craves! 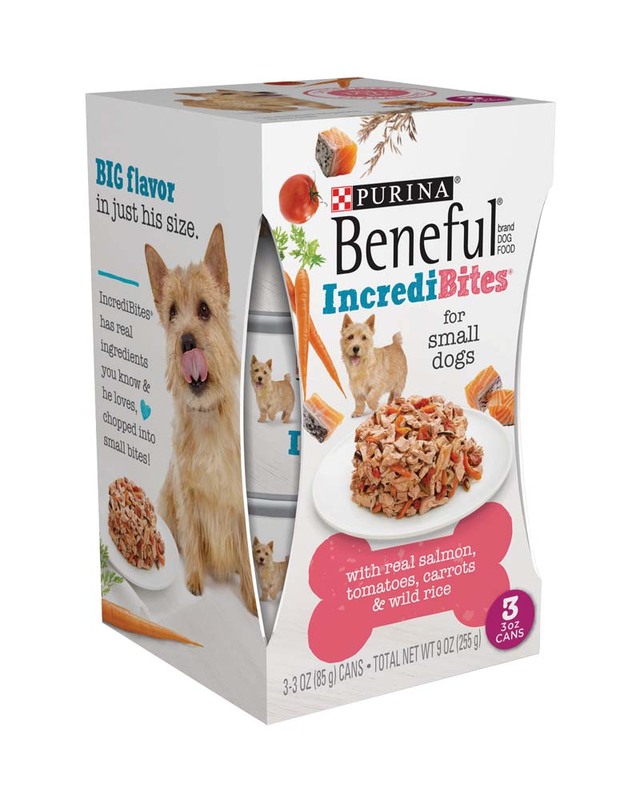 Beneful IncrediBites with Real Beef, Tomatoes, Carrots & Wilde Rice is formulated to meet the nutritional levels established by the AAFCO Dog Food Nutrient Profiles for growth of puppies and maintenance of adult dogs. Your little dog has a big appetite for good taste, which is why Purina Beneful IncrediBites With Real Chicken adult dry dog food features real farm-raised chicken as its number one ingredient and accents of real vegetables. It also features 27 grams of protein per cup to support his strong muscles and is nutrient-rich to support the higher metabolism of small dogs. The tender and crunchy mini bite kibble are the perfect size and texture for his mouth and teeth, making mealtime enjoyable and delicious. 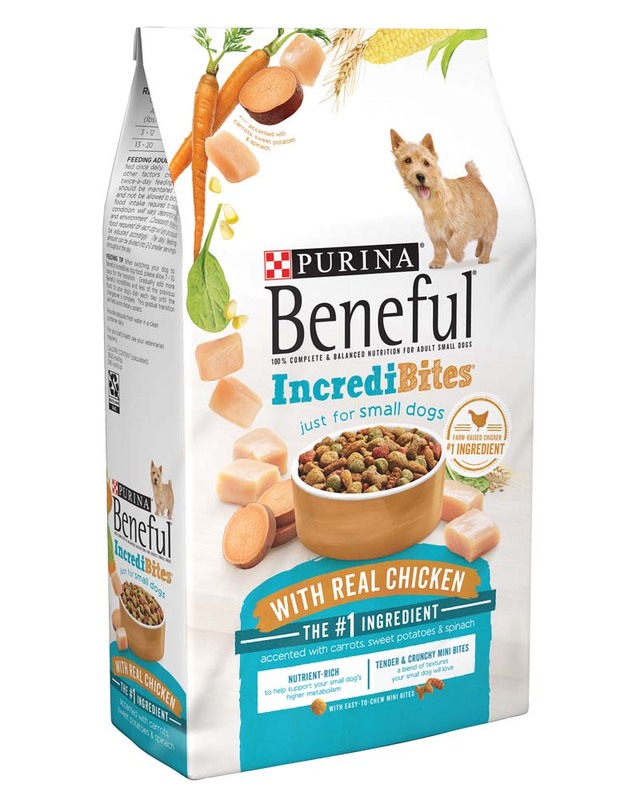 Beneful IncrediBites With Real Chicken is made with no added sugar and provides 100% complete and balanced nutrition for adult small dogs, so you can feel good about dinner time with your little love. Fill his bowl with the goodness of real ingredients, and enjoy the satisfaction that comes from knowing you're giving him food that was made just for him. Healthy food with Big Flavor, in just his size. Beneful IncrediBites has real ingredients you know and he loves, chopped into small bites. Give your little dog the big flavor he craves! 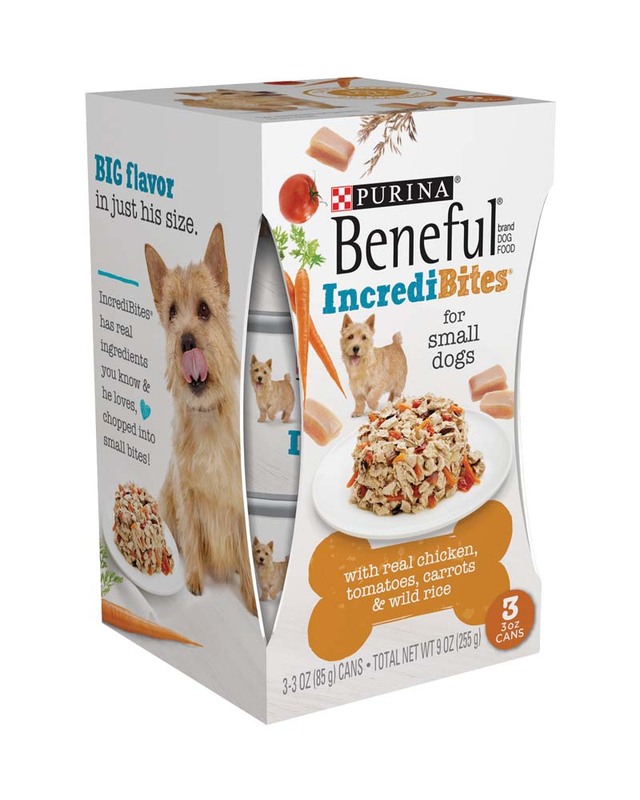 Beneful IncrediBites With Real Chicken Tomatoes Carrots & Wild Rice is formulated to meet the nutritional levels established by the AAFCO Dog Food Nutrient Profiles for growth of puppies and maintenance of adult dogs. Healthy food with Big Flavor, in just his size. Beneful IncrediBites has real ingredients you know and he loves, chopped into small bites. Give your little dog the big flavor he craves! 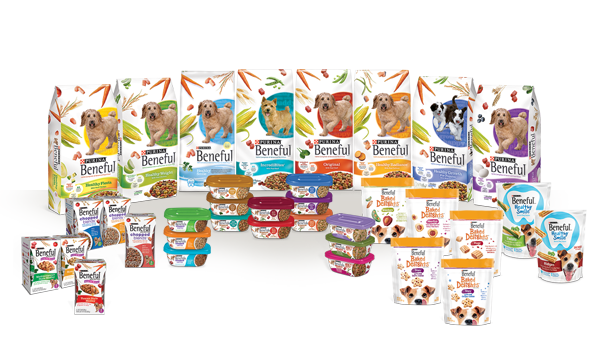 Beneful IncrediBites with Real Salmon, Tomatoes, Carrots & Wild Rice is formulated to meet the nutritional levels established by the AAFCO Dog Food Nutrient Profiles for growth of puppies and maintenance of adult dogs. 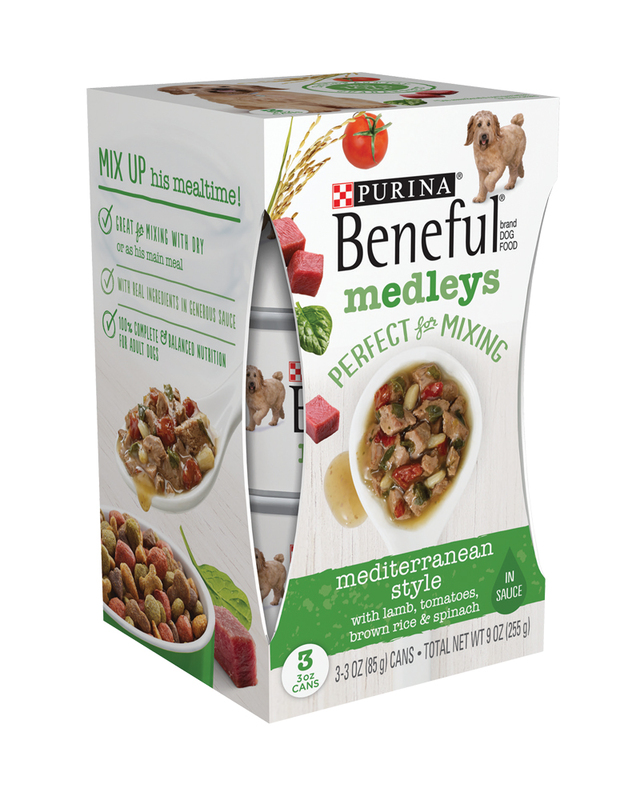 With real meat, veggies and whole grains in a generous sauce, Beneful Medleys let you create a mix-in mealtime experience your dog will savor. Plus it's oh-so-good on its own. 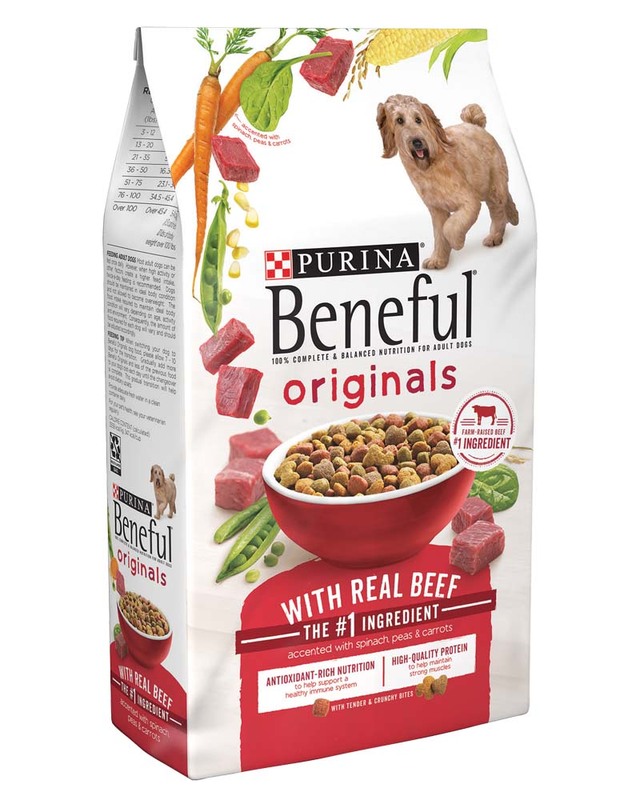 Make mealtime for your dog as tasty as it is nutritious with Purina Beneful Originals With Real Beef adult dry dog food. With real farm-raised beef as the first ingredient, these meaty bites deliver high-quality protein to support strong muscles. Whole grains and accents of real carrots, spinach and peas also help create a perfectly balanced meal with an irresistible taste for your faithful companion. The enticing mix of tender and crunchy kibble will add variety to his day and keep him coming back for more. Fill his stomach with wholesome ingredients and his heart with your love for a happy, healthy life together. Give your dog a bowlful of delicious goodness with every meal when you serve him Purina Beneful Originals With Real Chicken adult dry dog food. Real farm-raised chicken as the number one ingredient gives him the taste he loves, and the 23 essential vitamins and minerals in each serving support his overall health and wellness. Accents of real avocado, carrots and tomatoes add wholesome ingredients you can feel good about serving. You care what goes into your dog's food, which is why this Purina Beneful Originals recipe contains no added sugar. With high-quality protein to support strong muscles and an appealing combination of tender bites and crunchy bits, this premium dry dog food combines the nutrients your dog needs with the irresistible flavor he loves. Show your faithful companion he's your number one when you fill his bowl with Purina Beneful Originals With Real Chicken adult dry dog food. Get your dog's tail wagging at mealtime with Purina Beneful Originals With Real Salmon adult dry dog food. Good ingredients create good food, and that’s why this recipe has a perfect blend of real salmon, whole grains and vegetable accents at its base. Omega fatty acids help to maintain a shiny coat so his natural beauty shows through, and the delicious flavor gives him something to look forward to with each feeding. Watch him enjoy the tempting texture of crunchy kibble and tender bites while knowing he's getting antioxidant vitamin E to help support his healthy immune system. With a healthy variety of high-quality ingredients, Purina Beneful Originals With Real Salmon dry dog food delivers big flavor and 100% complete and balanced nutrition for adult dogs in every bowlful.